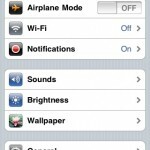 If you already have firmware 3.0 installed on your iPhone you’ve probably had enough time to check out all of the features in it, but now you can add check another cool feature out before the rest of the world gets it on Wednesday, Push Notifications. 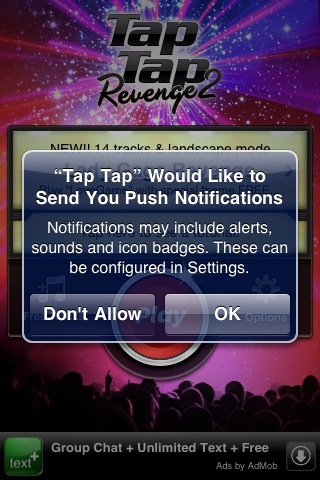 Early this morning an update to Tap Tap Revenge was posted that (if you had firmware 3.0) enabled push notifications. 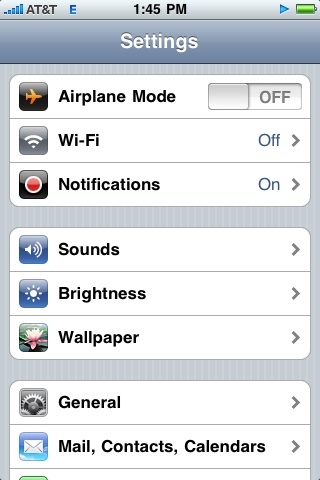 Once you choose OK checking your Settings shows that a new “Push Notifications” option has been added. 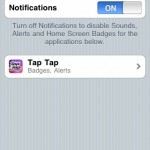 It also allows you to choose what notifications you receive from what applications (which currently only lists one app). 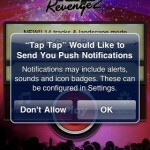 Push Notifications in Tap Tap Revenge allows you to challenge another user to beat your score. When a challenge is made an alert displays on your device letting you try to beat the score. 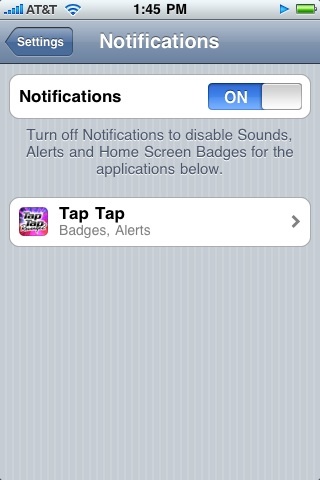 Tap Tap Revenge does icon badges and alerts but does not currently use sounds (which is nice).